TinTrunk is an unpredictable repository of 20th century goods ranging in date from around the 1920s to the 1980s, based at Room at the Top Vintage Goods. ★ Accessories and costume jewellery for ladies and gents. ★ Homeware and decorative items. ★ Textiles including curtains, blankets and wall hangings. 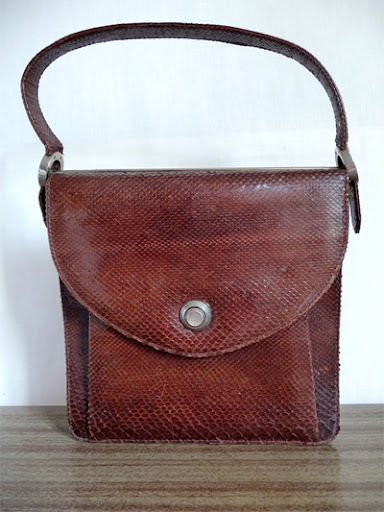 The proprietor is a design historian and recovering collector with a nerdish passion for research. 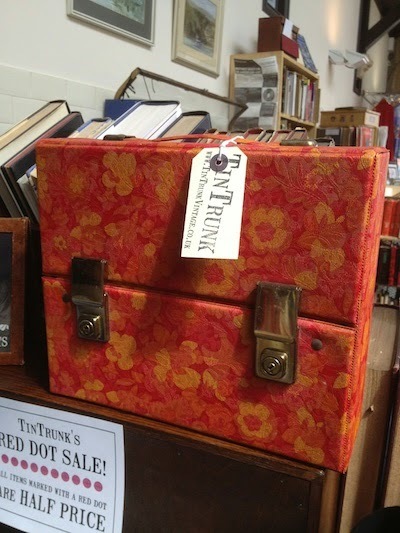 Fellow obsessives of every stripe are most welcome at TinTrunk! Vintage 1920s Chinese satin embroidered lounging pyjamas. 1970s embossed floral vinyl cassette carrying case. 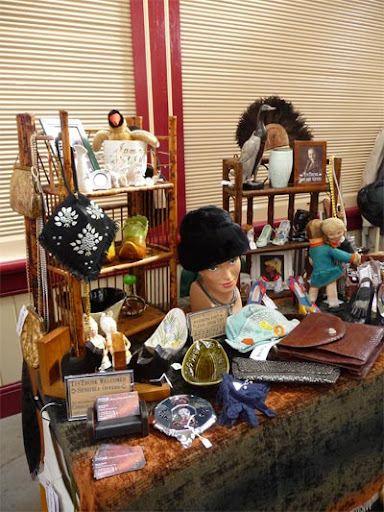 TinTrunk's stall at the very first Vintage Village at Stockport Market Hall, September 2010. 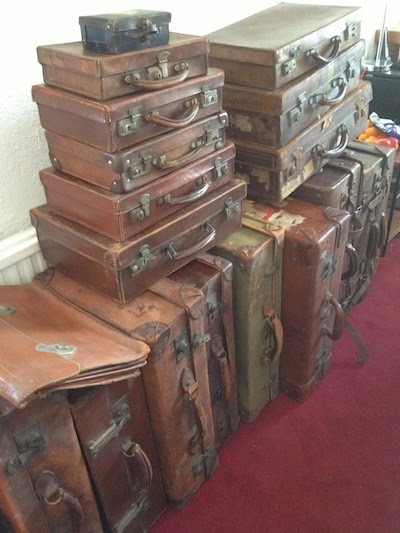 A pile of vintage luggage awaiting treatment. 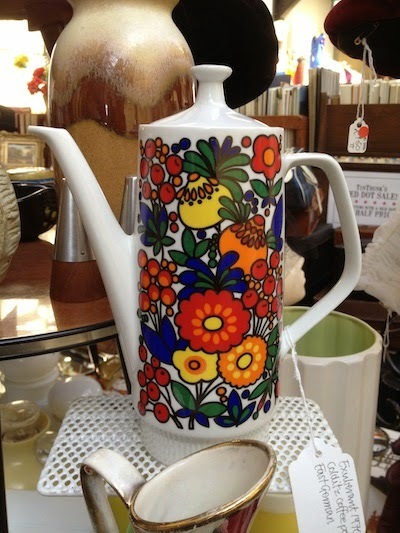 Exuberant 1970s floral coffee pot by Colditz, from East Germany. 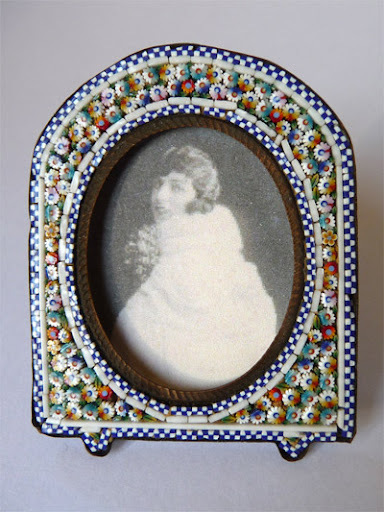 Tiny Victorian micro-mosaic picture frame, made in Rome.